This is a black-comedy drama depicting a prestigious family whose lives are suddenly shaken because of a rumor about their teenage son impregnating his schoolmate. 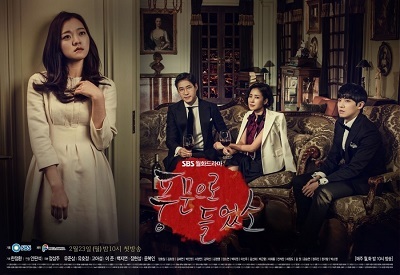 Choi Yun Hee (Yoo Ho Jung) and Han Jung Ho (Yoo Joon Sang) are a wealthy couple from a prestigious family. Their reputation suddenly turned upside down because of their son’s relationship with an ordinary girl. The girl, Seo Bom (Go Ah Sung), determined to endure the humiliation and isolation from the family for the sake of her child’s future while the son, Han In Sang (Lee Joon), struggles between his love for Seo Bom and his family’s high expectation.